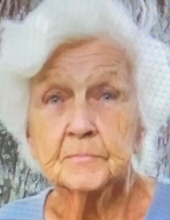 THATCHER, Betty A., 85, of Riverview, passed away peacefully surrounded by her girls and loving family on Thursday, April 11, 2019. She was pre-deceased by her husband; August; daughter, Carol Thomas; 1 grandchild and 3 great-grandchildren. Survivors include her daughters, Deborah Waldfogel, Ellen Williams (Chester), Francis Thatcher, and Gerri Huston (Chris); 9 grandchildren; 16 great-grandchildren and 2 great-great-grandchildren; son-in-law, Marty Thomas. Betty was a lifelong resident of Swanton, OH until moving to the Riverview area in 2003. A celebration of life service will be conducted on Saturday, April 20, 2019 at 3 p.m. at Southern Funeral Care with the family receiving friends one hour prior to the service. To send flowers or a remembrance gift to the family of Betty Ann Thatcher, please visit our Tribute Store. "Email Address" would like to share the life celebration of Betty Ann Thatcher. Click on the "link" to go to share a favorite memory or leave a condolence message for the family.